Collisions in the Aspen-Snowmass-Basalt area are quite common especially during the snow season. 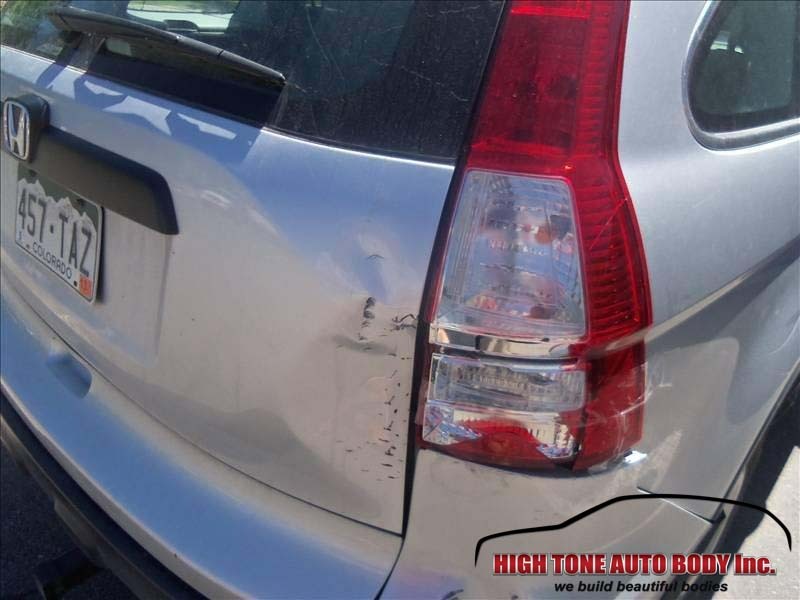 Any kind of accident can be stressful for the vehicle owner and it is even more stressful when you cannot find a reliable auto body repair service. 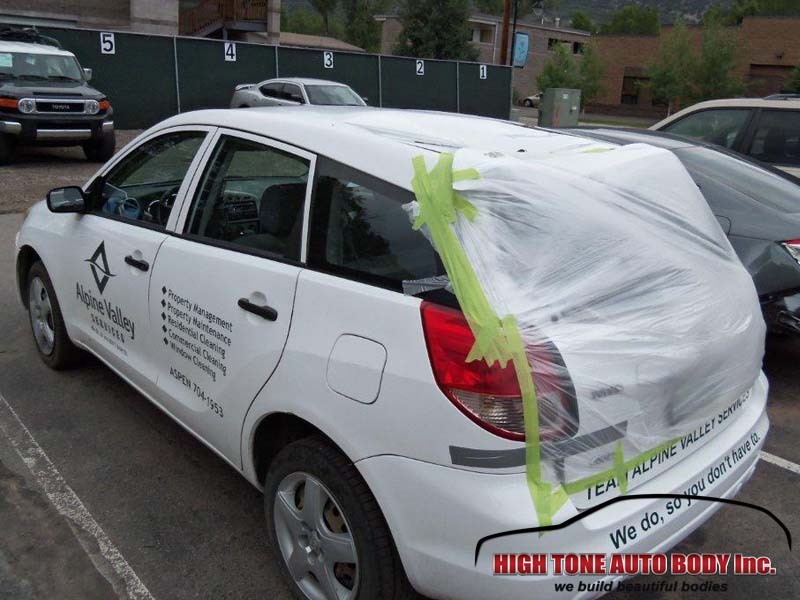 High Tone Auto Body is focused on getting you the best possible auto body repair service and we have served countless clients from Aspen, Snowmass, Carbondale, Basalt etc. Recently a Honda CRV owner stopped by the shop. The vehicle was in a relatively small collision but the damage wasn’t that small. 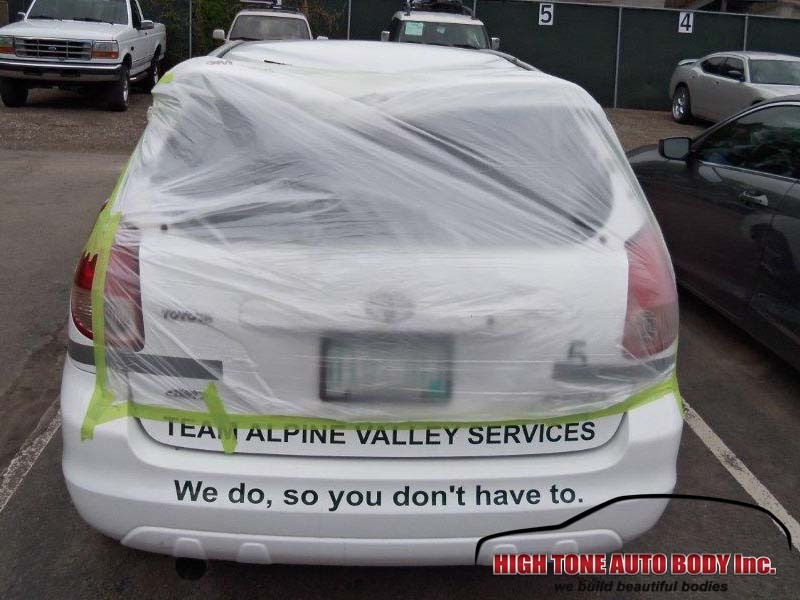 Our technicians follow an industry-specific repair workflow to ensure proper auto body repair so the vehicle can be as safe and nice looking as before the collision. Here, we started by removing the tailgate from the vehicle and our auto body specialists worked on restoring the geometry and look of the back side of the car. After the repairs on the door frame and roof we had the area repainted with a few coats of paint and clear coat. Bumpers are composite parts, and in this particular case the plastic shielding took most of the impact and was broken. 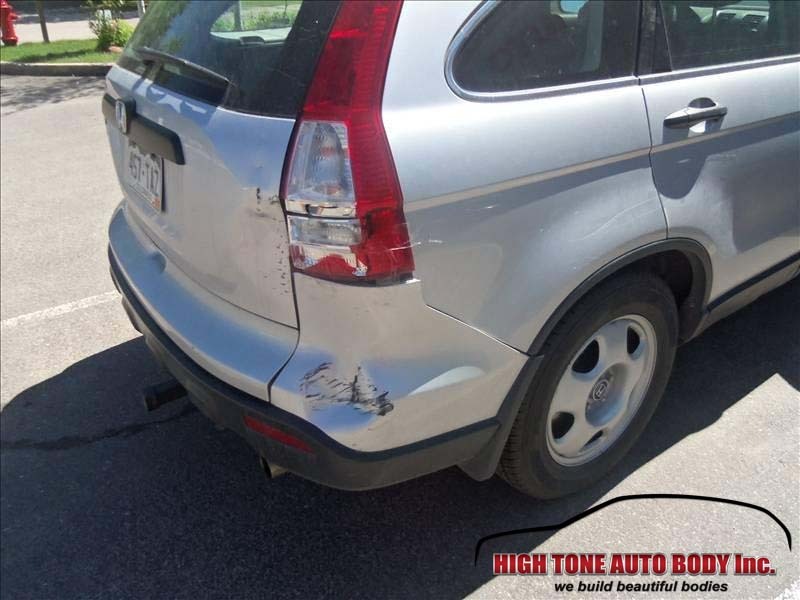 When the plastic shielding is broken we replace the entire bumper because bumpers act as safety buffer zones, protecting people in the vehicle, as well as people around the vehicle (bumpers are designed to cushion pedestrians in case if they are in a car accident). The new bumper also got a coat of paint and a coat of protective clear coat. 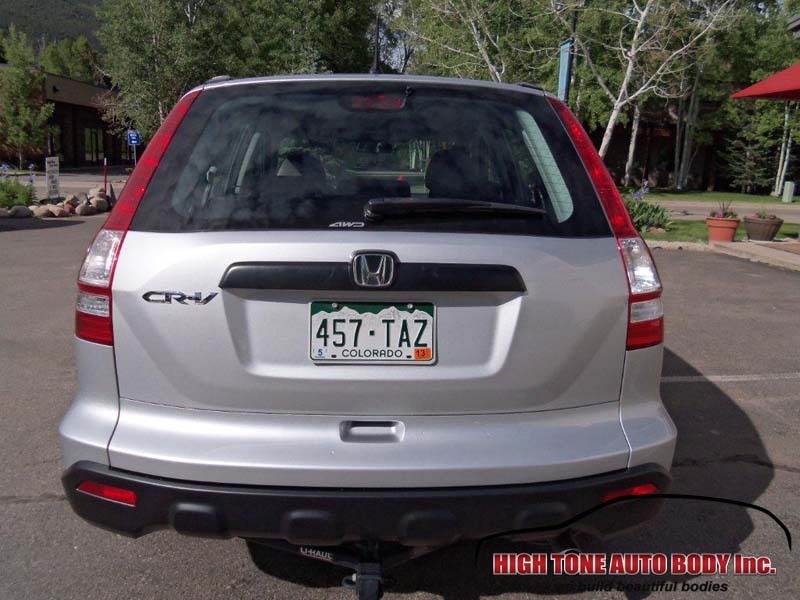 The rear stop lights on Honda CR-V’s are positioned relatively high, so the only damaged part was the outer glass. We replaced the rear stop light with a new one and did all the necessary wiring checking to make sure that everything works as it should. While one team did work on the vehicle itself, another team did the needed body work and paint on the tailgate. 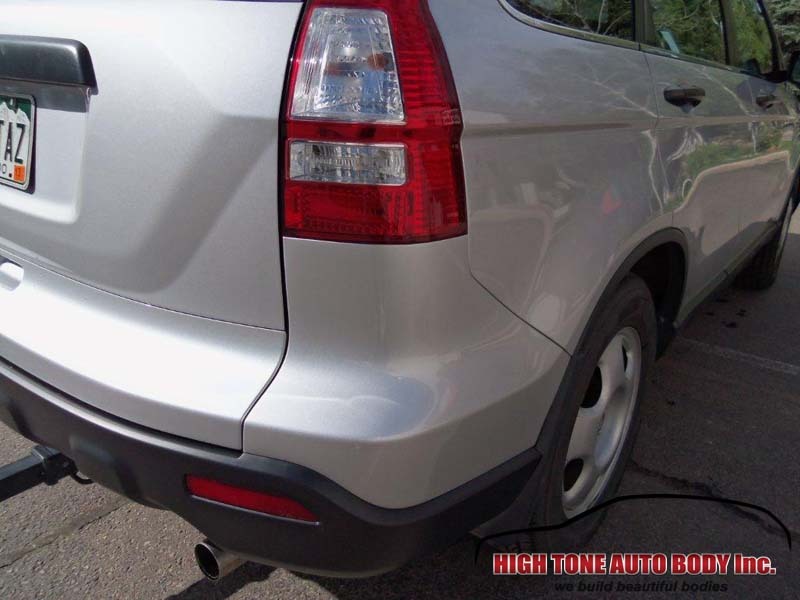 With the tailgate repaired, our technicians assembled the Honda CR-V and the owner was quite pleased with the quality of work and timely repair.